RegO is the premier manufacturer of gas control products to the industrial gas and liquefied cryogenic liquids industry worldwide. RegO manufactures an extensive variety of gas and liquid pressure controls, pressure regulating products, pressure relief devices, and a broad range of ancillary equipment. Our products are found in a spectrum of industries including health care, aerospace, electronics, chemicals, energy, food and beverage, industrial gas and liquids, and alternative fuels such as LNG. RegO is recognized as a world leader in product quality and innovation with unsurpassed product design and manufacturing through our facilities located in North Carolina, USA. With strategically located RegO operating centers in four countries, we are positioned to support our products through a network of authorized distributors and have strategic alliances with OEM vessel and system manufacturers throughout the world. All products receive 100% testing for reliable performance. The facilities boast an in house test laboratory complete with a working tank farm and high pressure lines, allowing engineers to complete designs and performance tests on site. Assembly facilities and Test Laboratories are certified to ISO9001 by UL®. 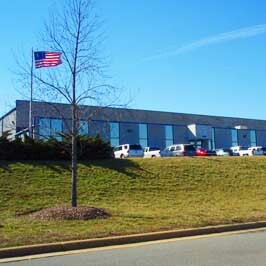 RegO® Products are manufactured at four facilities in the state of North Carolina, USA. Only the highest quality materials go into all RegO® Products. The machining operation utilizes robotics, CNC machining, and computer integrated manufacturing to achieve exacting standards. 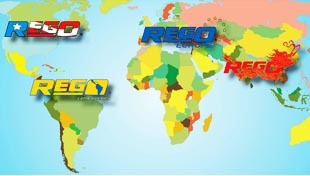 RegO® Valves and Regulators are sold by a network of Authorized Distributors throughout the world. In addition RegO® operates wholly owned Distribution Centers in Germany, China and Mexico supplying products and support to our global markets.